A quick literature search will demonstrate the increasing popularity of metagenomic sequencing methods to diagnose patients when other methods have failed. However there is growing interest in using metagenomic methods more routinely. At OUCRU, Vietnam, we are investigating its use in central nervous system (CNS) infections and in patients with fever of unknown aetiology. In order to examine this data effectively we have developed an analysis pipeline which is rapid, requires low RAM. The pipeline takes raw reads from Illumina sequencing, removes host reads and classifies the remaining samples using CLARK in light mode. After classification, a prediction of genome coverage is made for each organisms identified based on number of reads and the genome size of the corresponding organism. If a threshold (default 0.1%) is met the reference for that taxon ID is downloaded and sample reads mapped. Outputs include mapping statistics such as genome coverage and number of reads mapped. A report on the frequency at which taxon IDs are found across the run is automatically generated, allowing users to consider the possibility of contamination. The pipeline was used to analyze sequencing results from 23 CSF samples collected from patients presenting with CNS infection in Vietnam. After pipeline completion, the number of reference mapping results was 104. The results were then edited for clinical significance by a microbiologist. Results identified pathogens in 17 samples, 8 Streptococcus suis, 4 enteroviruses, two cases of mumps and one S. pneumoniae, Japanese encephalitis and Varicella-zoster virus (VZV). In addition, Hepatitis B was identified in 5 cases, but was not considered a cause of CNS disease, but merely reflective of the high incidence of Hepatitis B in Vietnam. Genome coverage of these pathogens varied from 0.83% to 81.33%. All findings were confirmed with specific PCR, with Ct values ranging from 27 to 40. Dr Anscombe completed her BSc (Hons) in Biology at the Univerity of York (UK) in 2009, majoring in cellular and molecular biology. She then went on to train as a Clinical Scientist (Microbiology) for the NHS, during which time she completed a MSc in Clinical Microbiology at Queen Mary University London. During this time she specialised in improving diagnosis of infectious diseases using molecular methods. Subsequently, she undertook a PhD investigating the use of highly sensitive methods for diagnosis of infectious diseases using next generation sequencing, which was completed at Public Health England and awarded by Queen Mary University London. Her first postdocotoral position was as a clinical scientist in the Enteric Virus Unit at Public Health England, where she contributed to improving molecular assays, and devloped molecular methods for the UK Polio Surviellnce project. 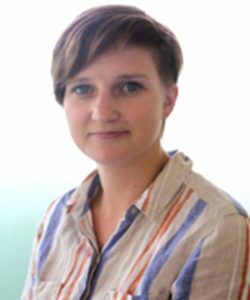 Since September 2016 Dr Anscombe has work as a postdoctoral researcher in the Emerging Group at OUCRU. Here her work focusses on devleoping bioinformatic analysis pipelines to detect pathogens in sterile sites using metagenomic sequencing methods. Her research aims to improve our understanding of the aetiology of infectious diseases, particularly life threatening diseases such as sepsis and central nervous system infections.